Quick post!! Whipped this up in like 5 minutes flat. So stupid easy & healthy. I shoot for easy recipes when doing my meal prep for the week. I try to cook a lot on Sundays to eliminate some of the kitchen time during the week. This makes 4 generous servings if you’re a piggy like me, could be 5. 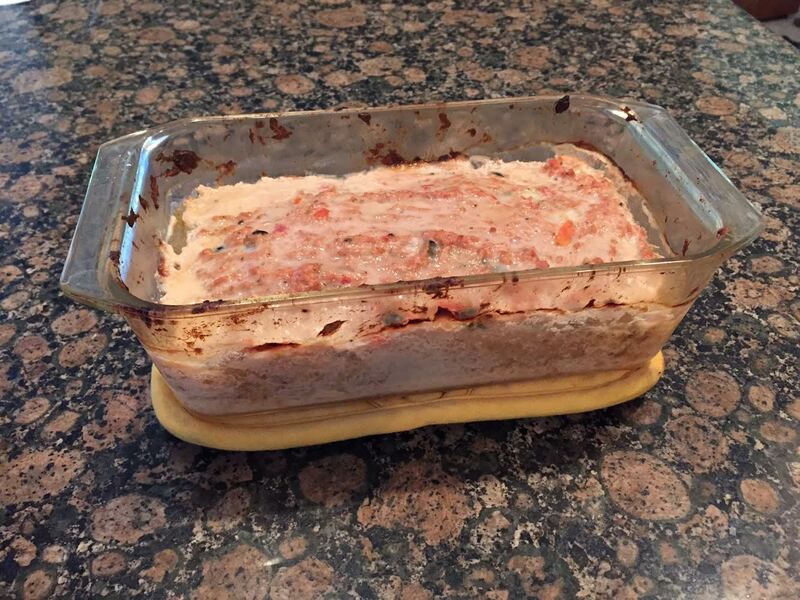 I mixed all ingredients at once in a Pyrex bread loaf pan and thoroughly mixed it with my hands. I baked it in the oven for 45 minutes at 375 degrees. Each serving has 286 calories; 18 g’s of Fat; 8 g’s of Carbs; 25 g’s of Protein. < Previous Day 15: Information Overload? How you know when things are getting serious….